Marc Jacobs Sunglasses, style MJ364 is an rx-able oversizse metal aviator with plastic eye rims. The MJ364 features a saddle nose bridge and plastic temple tips for extreme comfort. The Marc Jacobs logo is engraved on the metal temples. 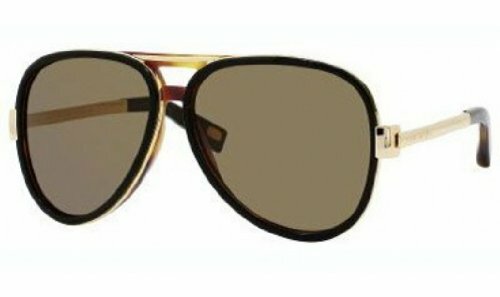 Marc Jacobs Sunglasses have lightweight scratch/impact resistant lenses.